These days, mostly, a search engine is the only source of information whenever someone is seeking the answer of a problem or a query. Usually, we carry out our search queries over the most popular search engine Google.com which is asked more than 3 billion search queries around the globe daily. But, some other search engines are also available for the users with sound features. 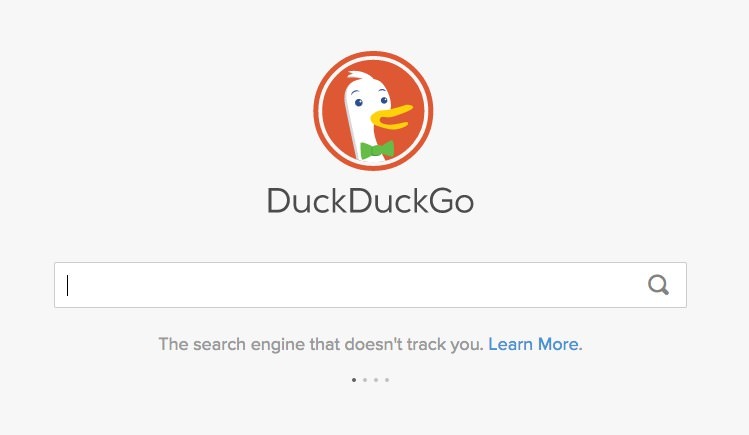 One of the prominent search engine is DuckDuckGo and it comes with some amazing features. 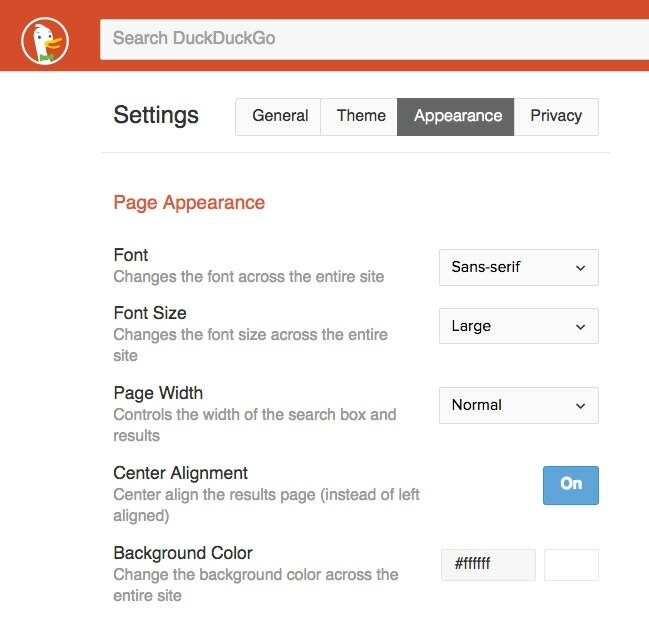 In this post, we are going to look at 10 reasons why you should make DuckDuckGo your favorite search engine. By using Google.com, each of our search query is tracked and because Google needs and uses this information to make our future search results more customized and relevant. Check out how you can use this to your advantage. However, our search queries will reflect personal and intimate details about ourselves (health symptoms and how to seek medical help for certain conditions), things that we would prefer to keep private. In such cases, many of us want real privacy to carry out our searches, preferring to opt out of tracking. DDG respects our privacy and by default doesn’t track our searches. It’s even in their tagline. You can see and customize the privacy settings by clicking on Options Button > Advanced Settings > Privacy. Here, you can select that whether you want to get tracked while searching sites or which version of http you would prefer to go with. You can also define video playback settings under the privacy section. 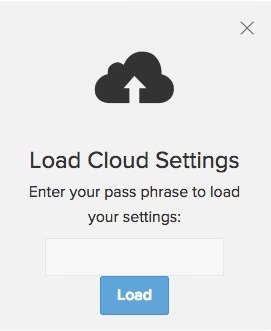 DDG allows you to save browser settings over the cloud by entering a passphrase. It uses Amazon S3 storage services to do this. All you need to do is save the settings using a passphrase. You can then load these settings on any other computer, using the same passphrase. 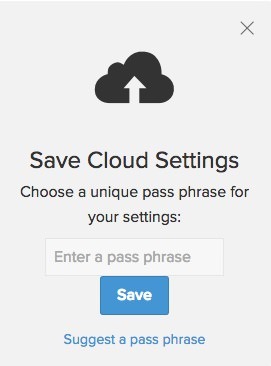 Enable Cloud Save by going into Advanced Settings. Here you will see the Cloud Save option on the right. Click on Save Settings, enter a passphrase and click on the Save button. To use these settings on a different computer, just go to Advanced Settings > Load Settings, and enter the exact passphrase you used. Click the Load button to enable the settings. 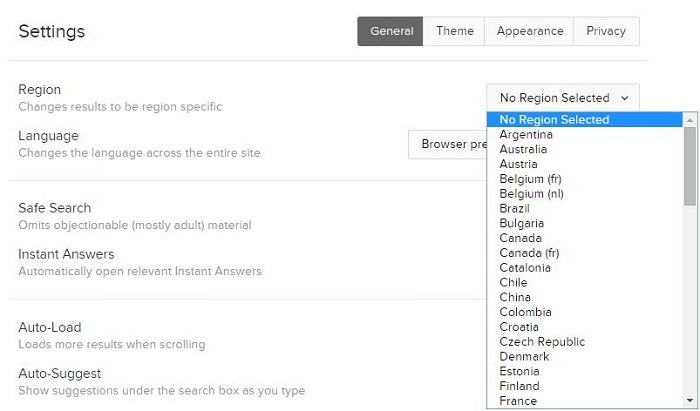 While searching on DDG, a user can change the region settings to customize the search results to cater to the audience of a particular region. To do this, go to Advanced Settings > General > Region. Then choose the region you want to narrow down your search results to. 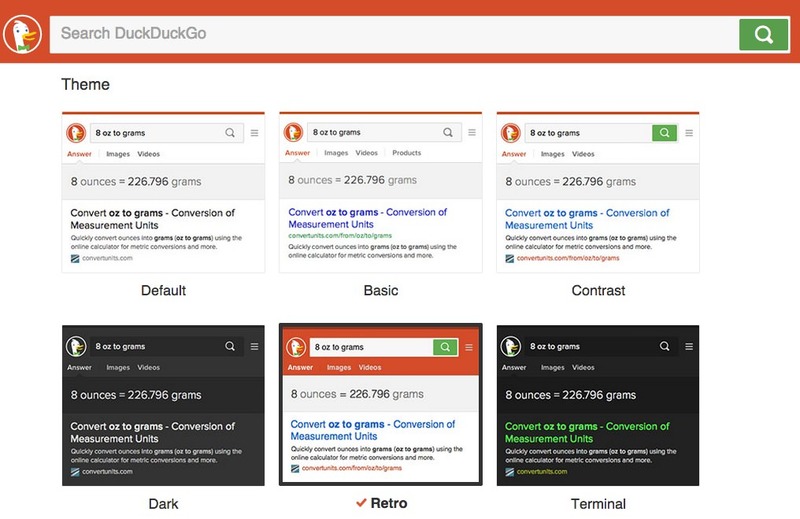 DDG allows categorized search for a particular term or word. For instance, if height is searched in DDG then it will show top search results related to the term and search results related to mathematics, people, and places as shown below. Whenever a search is made via DDG, it usually provides an immediate, short answer. You don’t have to click in to retrieve the information. This is a handy feature which can save your time especially when you just need a quick definition or a brief big picture understanding of your query. While using other search engines, usually results for an asked query are displayed on multiple pages. Around 90% of people check only the search results displayed on the first page. One reason may be the assumption that search results on the second page onwards are not so important, which isn’t true. Keeping this factor in consideration, DDG displays all search results on just a single page. Just scroll down and more results will be loaded and displayed. By default, DDG displays the relevant ads to the search queries but you can make searches without being subjected to the ads. To disable ads in search results, click on Advanced Settings > General > Advertisements > Off. One of the best things about DDG is its !bang feature. The best way to explain how it works is to show you. 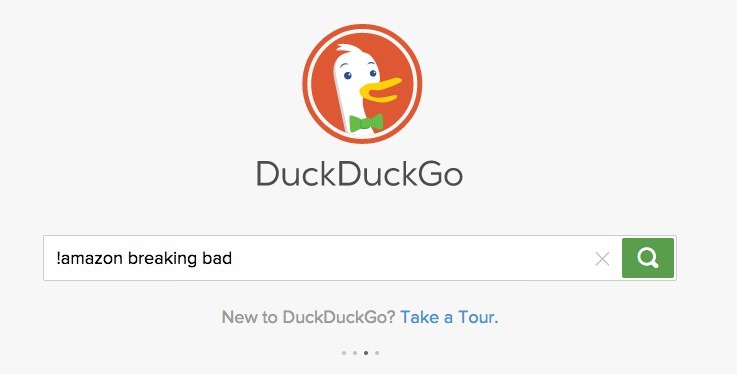 On the Duckduckgo search bar, type in "!amazon breaking bad" (without the quotes) and press Enter. 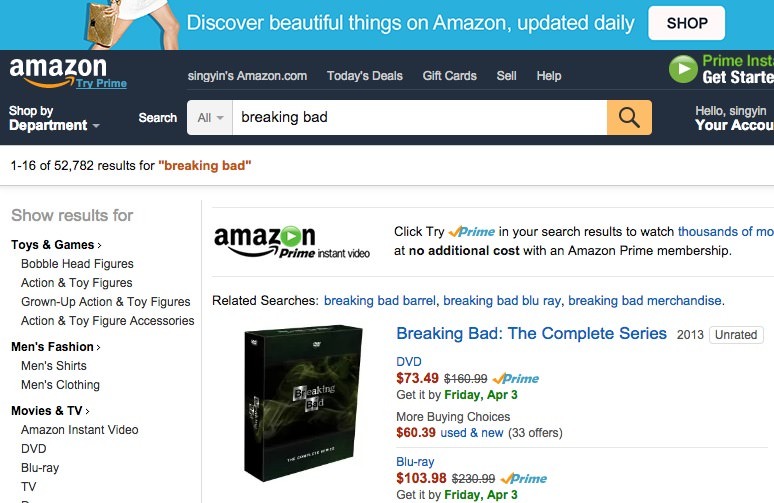 This entered search query will take you straight to the Amazon website, where you can see the search results for "breaking bad" merchandise returned by the on-site search engine. Although this doesn’t work for all sites, the command does support "hundreds" of sites. Check out the full list here. If you want to add a particular site to be supported, send your request here. There are many useful keyboard shortcuts you can use on DDG. For instance, you can use the j key or down arrow and k or up arrow for moving down and up the search results. The list of all shortcuts can be found here. You can enable or disable keyboard shortcuts via the Settings page. One can customize the appearance of DDG as per their taste. You can find this in Settings > Theme. There are so far 6 different themes to choose from: Default, Basic, Contrast, Dark, Retro and Terminal. Here is what the Retro theme looks like. Changes are instant. You can also change the font styles, sizes, page widths, background colours, typeface and color for results, etc. This is under Settings > Appearance. All changes are reflected instantly. However for them to stick, you need to click Save and Exit near the bottom.